There are two components to your Sage 100 ERP (Formerly Sage ERP MAS 90 and 200) maintenance costs. The first is the software maintenance provided by Sage. This provides for your annual upgrades as well as any program fixes. Depending upon the level of maintenance selected you may also be able to obtain support directly from Sage. Update 3-9-2012: Beginning with 2012 Sage have eliminated the Bronze plan. Below is a graphic showing the benefits of each support level. 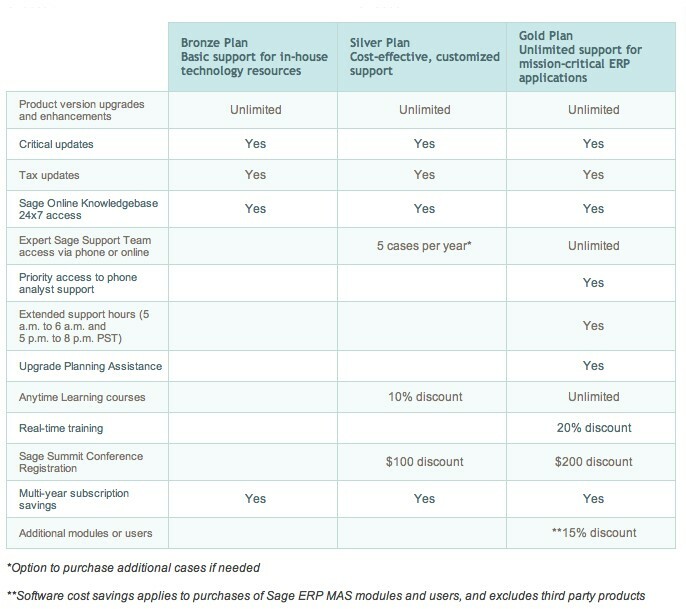 The higher levels (silver and gold) also bundle in some telephone support from Sage’s help desk. 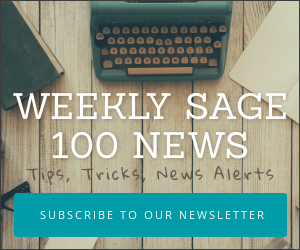 Access to our “brain trust” of over 70 independent Sage MAS90 consultants for the purposes of getting second opinions on add-on solutions that you may be considering purchasing. Our entire annual access agreement for Sage ERP MAS 90 and MAS 200 may be viewed online. Schulz Consulting provides local (on-site) and remote consulting to businesses who use MAS90 and MAS200 accounting software in CT, MA, RI, NY, NJ. Our services can include upgrades, new implementation and troubleshooting/support for both MAS90 and MAS200.